A trek to Iran’s highest peak. This huge volcano is one of the most easily accessible big mountains in the world. A less known prominent peak, which is rapidly gaining increasing popularity as a climbing and ski touring destination. Mt Damavand is probably the fastest 5000m in the world to ascend. The first camp, Polour, is just a couple of hours from Tehran’s IKA International Airport. In a short Itinerary you can ascend to the top and get a taste of the natural beauties, sightseeing and landscapes of this distinguished summit. 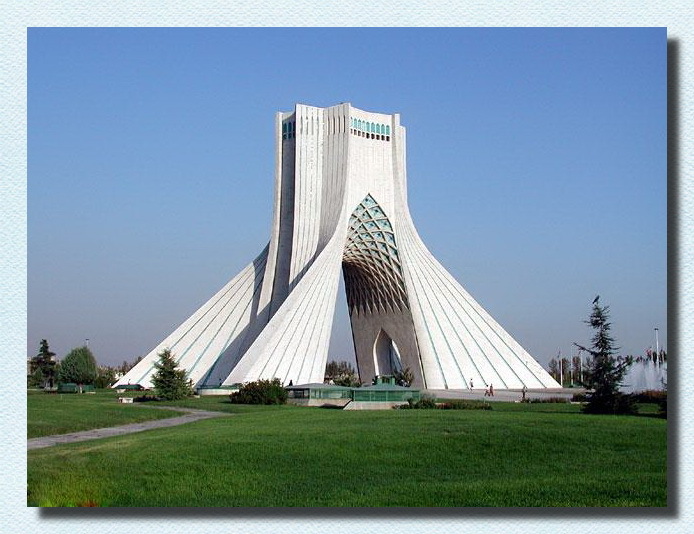 If you need any additional Services in Iran, such as cultural and historical tours, domestic and international flight tickets, etc, please don't hesitate to get in touch with us. - Damawand has a unique conical shape with a Volcanic Crater. - It has a breathtaking icefall called Abshar Yakhi at about 5100m. - With a height of 5,671m, it is classified as the second highest volcano in the northern hemisphere. - It is the highest peak in the Middle East, also called the roof of Iran and the Middle East. Damavand private tours are fully tailor made and recommended for foreign mountaineers and incoming tours. This relaxing 5 days Itinerary is one of the most favorite summer holiday plans for the south route. The itinerary mentioned here is just a sample one, the starting point, number of days and other details are custom designed. Feel free to make some modification to this package to best suit your program, for instance you may add an extra day if you need more acclimatization or for bad weather. Damavand Trekking Tour Organizer - Damavand Tour. 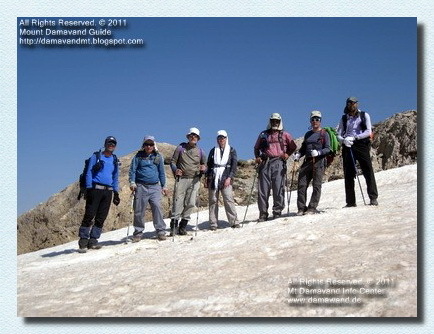 Damavand Trekking and Climbing Tour Organizer. damavand tour, damavand trekking tours, hiking mount damavand iran, trek damavand, climb damawand mountain, ski touring damavand, snowboard expedition iran moutains, sightseeing iran, travel damawand, hike and trek damavand, iran mountain adventure tours, iran hiking tour. 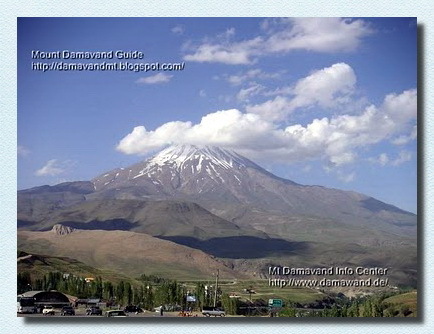 Useful links Damavand Info, Damavand Guides. We specialize in quality Damavand Tours. Leading Iranian mountain tour organizer. Climb to Damavand summit, Iran's highest peak. 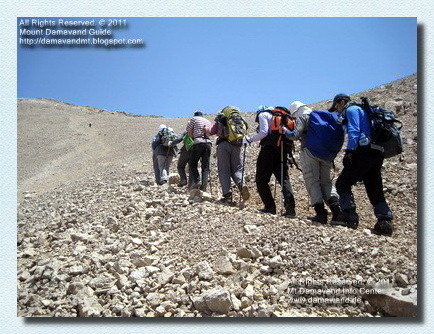 Read all the necessary information for Mt Damavand Iran before you go there. 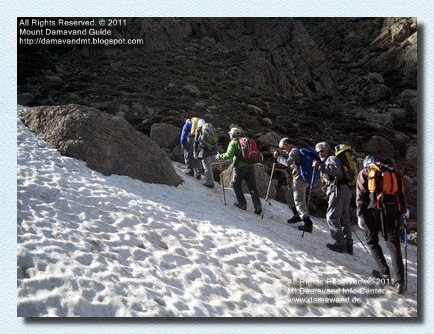 Climb Mt Damawand with the most experienced Iranian mountaineering group. Alborz Mountains trek/ski winter 2015. Ski and trekking tour zagros Iran. Tour organizer alpinism, caving, hiking, trekking, eco-adventure. Adventure, climb, climber, expedition, guide, hiking, image, mount, picture, piste, photo, sightseeing, ski, snowboard, travel, trekking, visit. visites au Mont Demawand. Montagne et de l'éco guide. Visite guidée Damawand Iran. 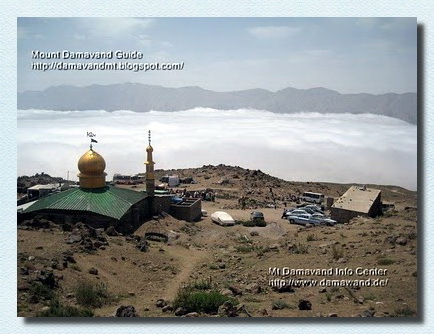 Visit also Damavand Economy Tour, Damavand Weather. Mt Demawand. Berg-und Öko-Reiseleiter. Führung Damawand. turistica. 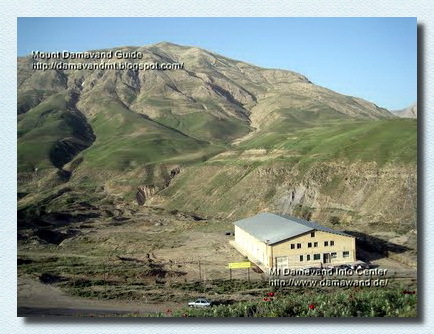 Visita guidata Damawand Iran. Damavand fotturer trekking, fjellklatring og klatreturer 2015. Erfaring Iran moutains med de beste tjenestene mulig. Mount klatring tur arrangør og operatør. Skreddersydde guidede turer for økosystem, naturlige attraksjoner og montere trekking. Ski Mountaineering, snowboard og opplevelsestur. Besøk naturlige skjønnheter, sightseeing og landskap av Iran. Beste sesong for klatring turer til Mt Demawand. Mountain og øko turguide. Omvisning Damawand Iran. 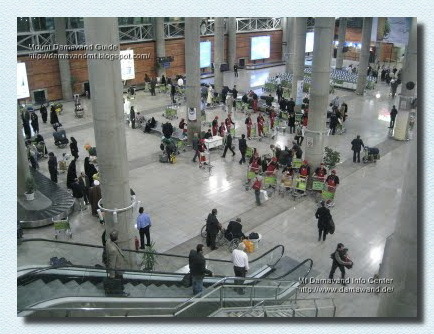 Damavand походы походы, альпинизм и восхождений 2015 года. Опыт Ирана Горы ​​с лучшими услугами возможно. Гора восхождение организатор тура и оператора. Портной сделал экскурсии для экосистемы, природные достопримечательности и смонтировать треккинга. Горнолыжного спорта, сноуборда и приключенческий тур. Посетите природные красоты, достопримечательности и пейзажи Ирана. Лучший сезон для восхождений на гору Demawand. Горы и эко гида. Экскурсия Damawand Ирана. Damavand senderismo senderismo, montañismo y viajes de escalada en 2015. La experiencia de Irán moutains con los mejores servicios posibles. Escalando el monte y el organizador del tour operador. Day 1: Transfer to Camp1 Polour. Day 3: Acclimatization day, go to higher than Camp3. Day 4: Ascent to the top and descent back to the Camp3. Day 5: Descent to Camp2 Base and transfer to Tehran. Transfer by car from your hotel in Tehran to Camp1 Polour Resort 2200m. Just rest there for acclimatization, no climbing or hard exercises and no pollution of Tehran weather. Have a good time tonight. Over night at Camp1 Polour Hut. After breakfast, transfer by 4W car from Camp1 to Camp2 Base 3050m (also called Goosfand Sara). And by 4 to 6 hours trekking to Camp3 Bargah Sevom 4250m. No need to hurry. It is a preparation day for the big peak, you are not here to break any world speed record, but for acclimatization take it easy and go slowly. Your goal is to get to about 4800 meters today. No need to start early or go higher and make yourself exhausted, save your energy for tomorrow, allow plenty of rest after your hike. Go to bed early! 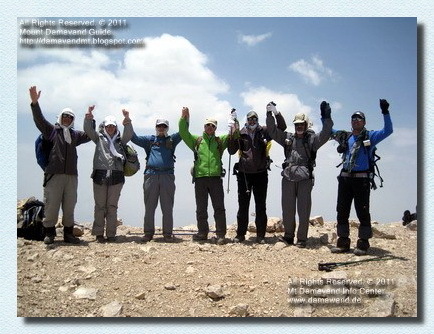 Climbing Iran's peak, Damavand Summit 5671 meters. It is the summit push. Wake up early in the morning at 4 am and have a good breakfast. Check the weather forecast. Start climbing towards the peak at about 5 am, it's still dark. Depending to your pace, physical ability and fitness, it would take about 5 to 8 hours to reach the summit. Keep away and hold at a less smelly distance from the sulfur escaping near the crater (it is irritating). Congratulation you have done it! What a memorable climb, no matter how many summits you climbed before, this ultra prominent peak is truly unforgettable. You deserve a few minutes rest, but do not stay too long there, just take some photos and after that, it's time to return, about 3 hours to descend to the camp3. Over night at Camp3 New Hut. After a well deserved rest, one night relax, have a good breakfast, it is time to descend back to camp1, no need to hurry now, specially after yesterday's big attempt and 4 am rise. For those people who descending is tough on the knees, may be a little hard. 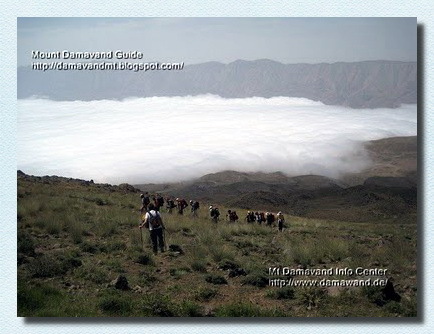 All Rights Reserved© Damavand Tour. All the material on this site is protected by copyright.